I’m currently in “pre-production” on a new-ish project, by which I mean I am engaged in working the kinks out of an idea I’ve been kicking around for some time. In movies, pre-production is when art, financing, casting, etc. are done. The script is finished, then broken down into scenes, and storyboards. Location scouting, costuming, props, all are being worked on. In writing a novel, pre-production is very similar to film work. I’ve finalized the cast of characters (with, of course, room for new supporting roles as needed), and I’m working out the plot–or, rather, the plots, because this book has a few of them. 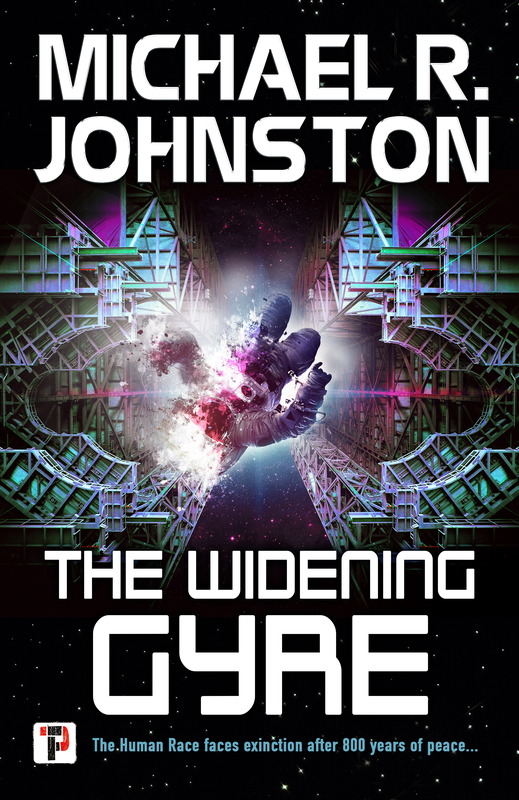 In The Widening Gyre, there are some subplots, but there’s really just the one throughline–as a first-person work, I could only show what Tajen himself was there to see. In this new story, I’ve got four POV characters, and each one has their own plotline, beginning in vastly different parts of the Boundless Empire, each on their own path. Now, before the end of the book, some of them will come together, and by the end, they’ll all be pretty interconnected, even if the characters never meet. But that’s still four major plots, and every POV has at least one minor plotline. All in all, this story has ten distinct story arcs. This is even harder than TWG was, because in TWG, if I adjusted something, it might cascade to other things in the novel I had to adjust, but in this book, if I change one plot, it might have ripples that affect every other arc. For example, I removed a meeting from one character’s plot–I decided having her go off on her own against orders, and have to deal with the ramifications of being something of an “outlaw,” was more interesting that just having her fight a mindless bureaucracy to get things done. But removing that meeting meant a subplot that affected other plots had to change. And that subplot’s change led to even more changes, even for storylines that at that point in the story are only tangentially related to the first arc. It’s teaching me a lot about how to juggle plotlines, and each change forces me to think through elements of the story. As a result, things that had been part of the story from the beginning are now falling away, discarded because they don’t make as much sense as they once did, but they’re being replaced by better elements that will make the story stronger and much more interesting. I’ve also been adjusting certain character attributes, figuring out what makes each character tick–what their goals are, their individual psychologies, and even their appearances. It’s a story far removed from Earth, again, and not part of present-day Earth cultures, but also informed by them. So it’s very much a multi-ethnic cast, even if they don’t exactly correspond to modern-day ethnicities, and many of the characters are multi-racial. I’m still working on names, because some of them are a little too modern for my tastes, but so far the cast includes Shin Kincaid, Alua Tan, Jen Tan, Ian Khan, Lavraj “Raj” Patel, Emily Kennedy, and Marian Neves. Right now I’m mostly focussed on figuring out who the characters are under their skin. Once that’s done, I’ll focus on their individual plotlines in earnest, and then once those are all nailed down, I’ll break them into scenes, then interweave the scenes so they work as a coherent, cohesive whole. I figure I’ll be adjusting the whole thing as I go, until it’s time to start work on the composition–and even then I’ll be adjusting until the story is finished.